Similar to the way they treat links, search engines also look at social media likes and shares as “votes” for a web page. Therefore, social media marketing is also a part of search engine marketing. When you share a link to a page on social media, other people see that and can also like and share the page, which provides more “votes” for those pages. When other people share links to your web pages, it brings their friends and followers to your Facebook page, Twitter profile, etc. There they can like/follow you, receive future posts, and like and share them as well. Google search results are personalized for each user. When people who are connected with you on Google Plus search Google, your web pages ranking higher for them because of that connection. The bigger and more engaged your social media connections are, the more potential there is for people to add links on their website to your site, write news articles, or blog about your organization, which results in more links to your website and higher rankings. Because social media can have a big impact on search rankings, its important that your social media and SEO work together. That means your social and SEO strategies should be integrated. It also means that the person or people doing social media and SEO should coordinate their efforts. This usually doesn’t happen because most SEO services (or people if done in house) don’t do social, and most social media services (or people if done in house) don’t do SEO. It takes intentionality to bring both people/groups together, integrate their strategies, and coordinate their efforts. First, if you’re doing little to no social media now, at the very least create social media profiles for your organization on Facebook, Twitter and Google Plus and share the content you’re already creating on those profiles (newsletters, announcements, sermons, etc). Even if it doesn’t get a lot of likes, shares and comments, it helps. Every little bit helps search rankings. Second, in our last post in this series, we talked about content marketing as a part of an SEO strategy. One of the best ways to improve search rankings is using content marketing combined with a social media strategy designed to engage people who will spread that content. 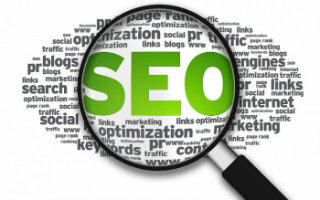 This is what our Progressive SEO Management services do. Do you consider your social media a part of your search engine marketing strategy? Why or why not? What if anything are you doing to coordinate your social media with your SEO and content marketing? Great information. You should treat your social media profiles as an extension of your brand or company. Having these types of accounts as well as likes, shares, etc. associated with them help the search engines develop a broader picture of what you are all about, as well as helping to build trust or authority in your area of expertise. Social media definitely plays a huge role in interaction and I believe will have as much or more impact in search results as time goes on. Good points. But come to think of it, SEO and social media responsibilities really come across each other and it's possible that one person can also do it so that the alignment of the techniques is well executed on both ends. If, you don’t participate in social media marketing, then you are certainly going to lose the opportunity of staying connected with masses. Now-a-days, all big and small business owners like sharing the best part of their product and services on the popular social media sites so that it helps attracting greater number of buyers effortlessly. Dear Paul, but now is there any great tools for social media, or we do it manually? I really like how you can integrate SEO and social media using IFTTT which allows you to syndicate you’re SEO optimised blog posts to all of your social media and Web 2.0 properties. It reall helps spread your message and get some great social signals for your site! Well, there is no dearth of social media marketing agencies that offer their services online, and I have tried few of them to get proven results for my website.